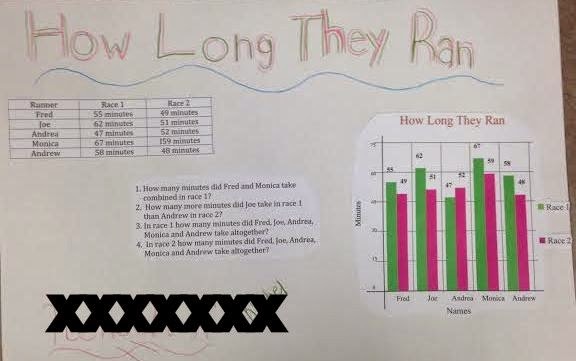 This week we worked on putting data into bar graphs. 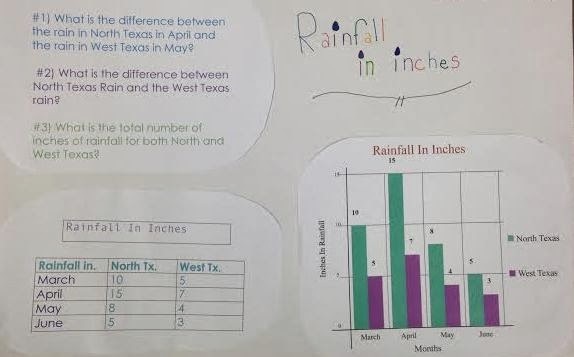 The kids were given a table containing data, and they had to decipher the table and decide which type of bar graph would best suit it - a double bar graph, or a single bar graph. We made the graphs on the Mac books, then came up with some questions that go with the graph. 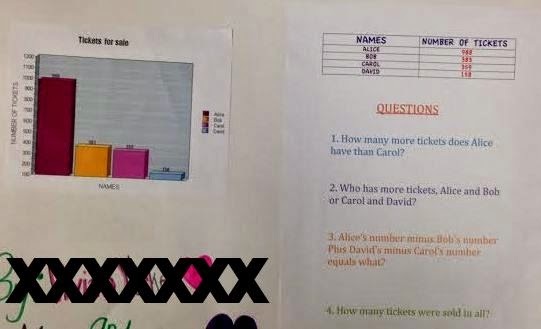 Today, the kids will attempt to answer some of these question on other kids' graphs.